Hit play on this TED video to witness a spoken word performance delivered by a talented and enthusiastic spoken word poet. Should it intrigue you into wanting to know more about her work and interests, I recommend visiting her site, Kay, Sarah (sera). I found her site refreshing, the perfect image of Action, a place where no words are wasted. Her performance, on the other hand, brings forth an emotional flux of ideas in simple yet powerful words. That is why action and words are, in Sarah’s case, a perfect match. Remarkable. A worthy stop for any English learner. Enjoy the video and discover your own response to what you hear and see, a response in action and words. It doesn’t have to be spoken out loud or commented on. It suffices if it speak for itself, whatever the language. According to a study mentioned by Eric Weiner in his TED talk held in Bucharest last year, this is the question that comes up, in various forms, in 80% of all phone conversations. Here are some more points Eric Weiner makes in his talk that you can watch below. “There are more words to describe unhappy states of mind than happy ones,” as a result of which new words are necessary, like the one he coins in order to describe the Swiss: conjoyment (contentment + enjoyment). Should more countries use the GNH (the gross national happiness policy in use in Bhutan) to supplement the GDP (gross domestic product)? The genuine smile of the Thai is in their eyes. Beware of the fact that “You think too much“; it may come against your happiness. What would you conclude after reading all of the above? To answer the question in the title, I am now in Poland, in the beautiful city of Krakow. Do I currently live in a society I am pleased with? Is it any different than the society I was raised in? Are there happier places for me to be in? Not entirely – and I am thinking again of the Polandia series of interviews that show Poland through the eyes of foreigners of different ages, races, and religions; not really, with the note that living in a foreign country allows me to choose freely my version of reality within its borders, which I like; and probably. I believe that happiness happens. Most often unconsciously. It fills us with that beautiful, inexplicable joy that comes out from within to meet the happiness that lies outside ourselves (in people’s eyes, in smiles and first times), and in that meeting the feeling, the memory and the future of happiness that stay with us are born. Do I have the words to describe happiness or the lack of it? Of course! Do they come easy? They rarely do. That’s why we cherish finding the voice of happiness. That’s why people sing, invent songs, write prose and poetry, or find themselves in other people’s words – a few among so many ways of being happy. Eric Weiner is a long-time correspondent for the National Public Radio (NPR) and author of the book “The Geography of Bliss: One Grump’s Search for the Happiest Places in the World”. For as long as he can remember Eric Weiner wanted to be a foreign correspondent. So he could hardly believe his good fortune when, one day in 1993, NPR dispatched him to India as the network’s first full-time correspondent in that country. Weiner spent two of the best years of his life based in New Delhi, covering everything from an outbreak of bubonic plague to India’s economic reforms, before moving on to other postings in Jerusalem and Tokyo. Over the past decade, he’s reported from more than 30 countries, most of them profoundly unhappy. He traveled to Iraq several times during the reign of Saddam Hussein and he was in Afghanistan in 2001, when the Taliban regime fell. He’s also served as a correspondent for NPR in New York, Miami and Washington. D.C. Weiner is a former reporter for The New York Times and was a Knight Journalism Fellow at Stanford University. He was part of a team of NPR reporters that won a 1994 Peabody award for a series of investigative reports about the U.S. tobacco industry. His commentary has appeared in the Los Angeles Times, Slate and The New Republic, among other publications. After travelling the world, he has settled, quasi-happily, in the Washington area, where he divides his time between his living room and his kitchen. His book, The Geography of Bliss, is a travelogue of ideas in search of answers to some pressing questions: What are the essential ingredients for the good life? Why are some places happier than others? How are we shaped by our surroundings? Why can’t airlines serve a decent meal? At TEDxBucharest 2010 Eric Weiner talks about what really makes us happy and where exactly we should think about moving to. 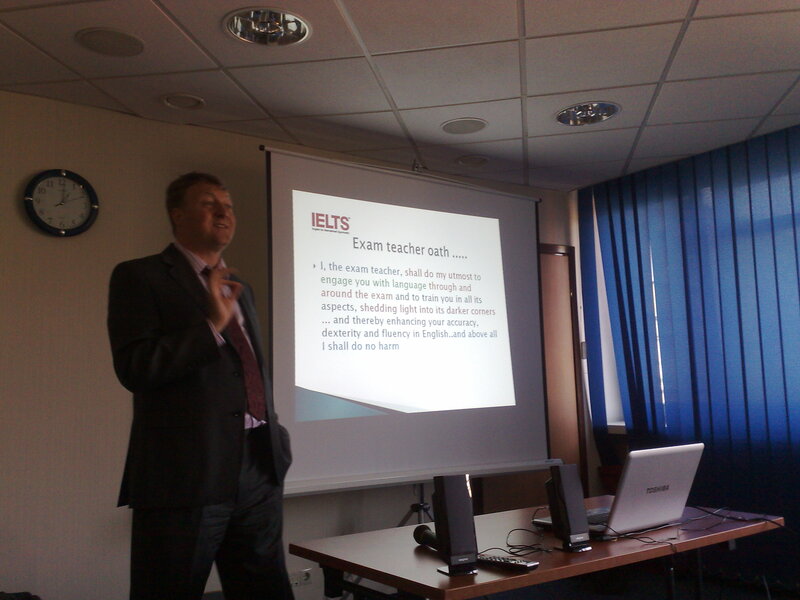 I, the exam teacher, shall do my utmost to engage you with language through and around the exam and to train you in all the aspects, shedding light into its darkest corners… and thereby enhancing your accuracy, dexterity and fluency in English and above all I shall do no harm. 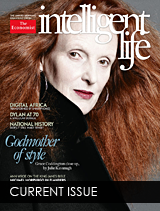 The profile of Grace Coddington is the profile of a visually imaginative genius, and this month’s Intelligent Life cover story stands to prove it. I warmly recommend this article now available online, as an unusual look into the world of fashion through the eyes of the passionate yet charmingly shy creative director of American Vogue. If you have the time and resources, also watch the documentary The September Issue (2009)- also reviewed in the Intelligent Life. Who is Grace Coddington? Read more about her life and work in the March online issue of the Intelligent Life. 1961: A car accident smashes her face into the driving mirror and slices off an eyelid. She endures two years of plastic surgery before returning to modelling. 1969: She marries Michael Chow at Chelsea Registry Office. Her new husband is the young, entrepreneurial owner of one of the restaurants of the moment, Mr Chow in Knightsbridge. “The restaurant was buzzing with amazing people. It was so much fun,” she says. ”But I was useless at being a restaurateur’s wife—much too shy to table-hop.” They split up after six months. 1973: Grace goes back to the young Vietnamese photographer, known as Duc, with whom she was in love before her marriage. Her sister Rosemary dies young, and Grace tries to adopt her nephew, seven-year-old Tristan, but the Welsh authorities refuse permission. “It was hardly surprising.” After breaking up with Duc she meets another apprentice photographer, Willie Christie, a rangy, rock’n’roll figure, and mentors him at Vogue. 1976: Willie and Grace marry, but “it’s difficult to be employed by your wife,” she says, and they divorce in 1980. Grace transforms herself into a business-suited, short-haired blonde—what she calls a “Calvin person”. 1987: A few months later, Grace takes a new job as design director for Calvin Klein in New York—mostly, she says, so she can spend more time with the French hairstylist Didier Malige, a long-time collaborator of hers, who was based in America. She still lives with him today. 1988: She rejoins Anna Wintour, who has now taken up the reins at American Vogue, because she misses the creative buzz of magazines. “Excitement on 7th Avenue ends with the show. The next day it’s all marketing.” Her influence grows: she becomes creative director, and by the end of the 1990s, her theatrical, narrative style is endemic in fashion photography. More info on Polandia online.